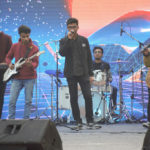 Asian School of Business (a part of Asian Education Group) – one of the top ranked BBA/BCA colleges in Noida – recently held season 6 of its annual inter-college cultural fest known as ‘AEG KESSHET’ on Thursday, 17th January 2019 at its campus in Noida. AEG KESSHET 2019 was celebrated with great pomp and enthusiasm, and in complete Bollywood style. 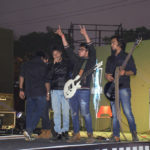 One of the attractive event activity at this festive celebration was the “Battle of Bands” competition. The “Battle of Bands” competition was for those Band players who dreamt of being a part of a Big Band, playing their heart out in front of a loud, reveling audience! 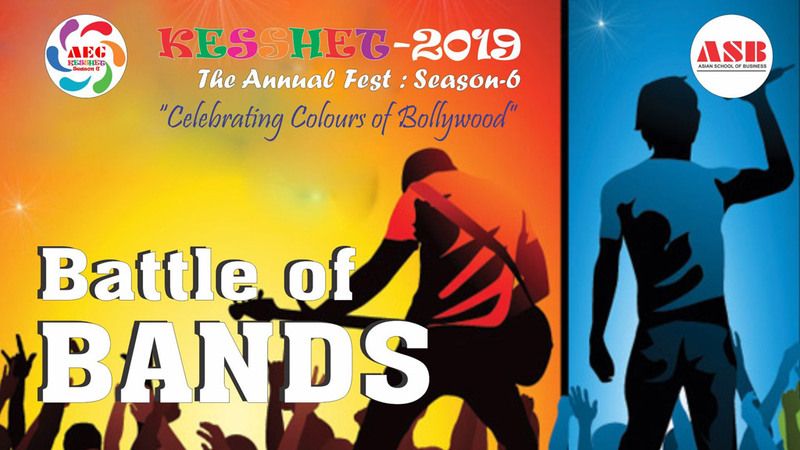 “KESSHET 2019 – Season 6” provided just the right chance to these bands to play in front of more than 1000 people for the evening! The number of bands allowed per college was limited to one. The time limit for performing was 20 minutes (including set-up time). The bands were required to carry their own musical instruments. The bands were pre-assigned performance slots randomly, and the same was intimated to the participants a couple of days earlier. Bands were expected to adhere to the schedule; any exchange of slots was allowed only on mutual agreement. And, it was stipulated that if a band missed its slot, they will not be guaranteed the opportunity to perform. The event was judged by experienced external judge, Mr. Nitin Shukla. The first position was won by ABESIT College. The judge was full of praises for the great effort done by participants within a short period of time. Here’s your share of the glimpses into that musical event activity.